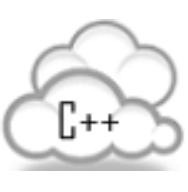 From David I's blog at Embarcadero, a nice summary of where C++ is used with links to more... the next best thing to a "C++ inside" logo. Multi-Device C++ is used everywhere on planet Earth and beyond! 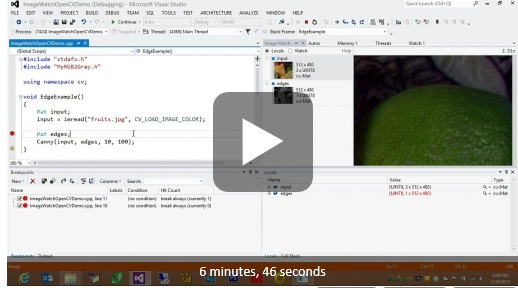 Image Watch is a new Visual Studio 2012 plug-in for debugging C++ image and video processing applications, for example photo or augmented reality apps. Image Watch provides a watch window that can display in-memory bitmaps during debugging, so you no longer need to litter your code with "save-this-intermediate-image-to-a-file" statements when tracking down bugs. The initial release has built-in support for OpenCV image types and can be extended for viewing user-defined image types as well. We first announced Casablanca as an incubation project on Microsoft's DevLabs back in April of 2012. Since then we have had several releases and have seen library quickly evolve. As we added new features and received feedback from customers, it was evident that two separate entities were beginning to form. As a result, the "Casablanca" project on DevLabs has been separated into 2 different SDKs: the C++ REST SDK and the Azure SDK for C++. The first of the two SDKs being released is the C++ REST SDK. It includes tools to quickly write modern, asynchronous C++ code that connects with REST services. We take advantage of the power and productivity offered in C++11 while providing a cross-platform solution. We currently support Windows 7, Windows 8 (Windows store and desktop applications), and Linux. Ability to create a connection to a server via a HTTP Client, send requests and handle response. Support for construction and use of Uniform Resource Identifiers (URI). Constructing, parsing and serializing JSON values. Asynchronously reading/writing bytes to/from an underlying medium via Streams and Stream Buffers. People new to C++11 often hear about move semantics, and expect that they have to do work to take advantage of it. That's often not true, and often the cleanest, simplest code that doesn't even mention move or && anywhere is just what you want -- that's C++11, clean, safe, and faster than ever. Perhaps the most common case (and question) involves returning values from functions. The new rule for modern C++ style: Just return even big objects by value, and move Just Happens. The link skips straight to Howard Hinnant's clear and correct answer. Sometimes we just try too hard, because we expect efficient programming not to be easy. Welcome to C++11. Today we’re releasing moost, a C++ library with all the nice little tools and utilities our MIR team has developed over the past five years. If you’re a C++ developer yourself, you might notice that moost sounds quite similar to boost, and that’s on purpose. moost is the MIR team’s boost, there is hardly a project in our codebase that doesn’t depend on one or more parts of moost. During the C++11 standards development cycle, much work was done on a feature called "concepts" which aimed at providing systematic constraints on templates. Concepts was deferred from C++11 for lack of time to complete it, but work has continued. In January 2012, the results of a major "concepts summit" were published as a 133-page report titled "A Concept Design for the STL" (WG21 paper N3351). That's an actual error message from the prototype GCC implementation linked below. do all of this without any runtime overhead or longer compilation times. This work is implemented as a branch of GCC-4.8 and is available for download at http://concepts.axiomatics.org/~ans/. The implementation includes a compiler and a modified standard library that includes constraints. Note that, as of the time of writing, all major features described in this report have been implemented. Bjarne Stroustrup, Andrew Sutton, et al., "A Concept Design for the STL" (ISO/IEC JTC1/SC22/WG21 N3351, January 2012). accept a std::function, which adds an indirection, vs.
make your function a template<class Func> and accept a Func, which can bind directly to whatever is passed? Thanks to C++11 we received the std::function family of functor wrappers. Unfortunately, I keep hearing [...] that they are horribly slow. [... Is the right recommendation] that functions can be used as de facto standard of passing functors, and in places where high performance is expected templates should be used?